Successfully Added HOMTOM HT7 Pro Smartphone - 5.5 Inch HD Screen, Android 5.1, 4G, Quad Core CPU, 2GB RAM+16GB Memory, Bluetooth 4.0 (Gray) to your Shopping Cart. Stay connected, entertained and do that in style with the HOMTOM HT7 Pro Android 5.1 smartphone with 4G support. 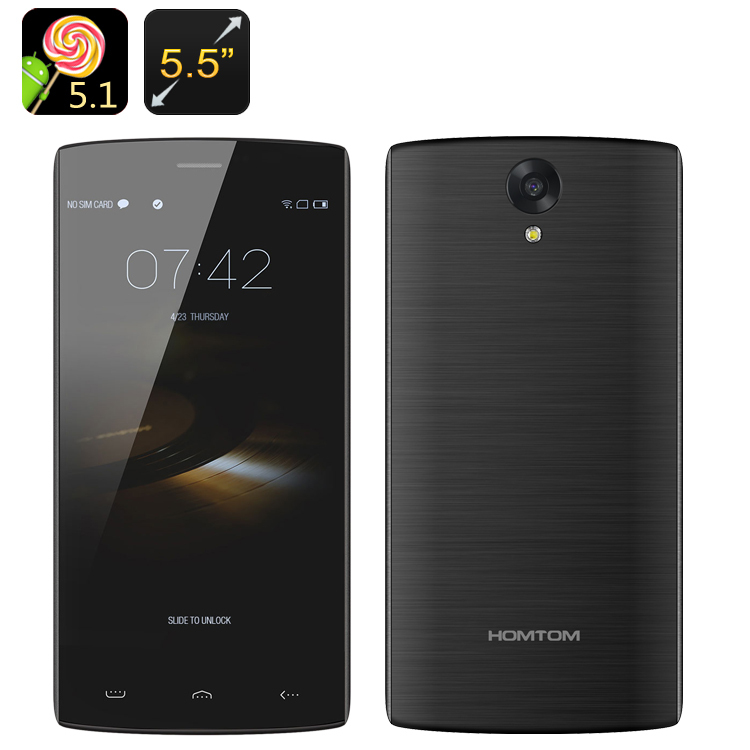 The HOMTOM HT7 Pro combines all the functionality a smartphone user might need, and more. You will have a nice 5.5 inch HD screen to watch movies, play games and browse the web. With 16GB of internal memory and up to 128GB extra on an SD card, you will have plenty of space to store your media right on the phone. Featuring Android 5.1, the smartphone will let you get all the extras you need from the Play Store: apps, games, productivity tools and more. A cool feature that comes with the HOMTOM HT7 Pro is Smart Wake. This handy navigation shortcut lets you get to favorite apps by simply drawing a corresponding letter on the locked screen. With the HOMTOM HT7 Pro, you will enjoy super fast web browsing thanks to the support of 4G on two SIM cards. The Quad Core CPU will back up all your multitasking and gameplay and the 3000mAh battery will guarantee up to 12 hours of non-stop talk time and 200 hours on standby. The 4G smartphone comes with two cameras, supports GPS+AGPS and boasts smooth connectivity with other devices thanks to Bluetooth 4.0.